The first picture of the day for this week is another one from my trip to Ontario this fall, but out of the city this time. We're going way out of the city to Tobermory, along the Bruce Peninsula nearly to the end, extending partway into Georgian Bay. This is the Big Tub Lighthouse in Tobermory backlit by the afternoon sun. Read on for some more information about this image and how I captured it. Picture of the day from Grenadier Pond. 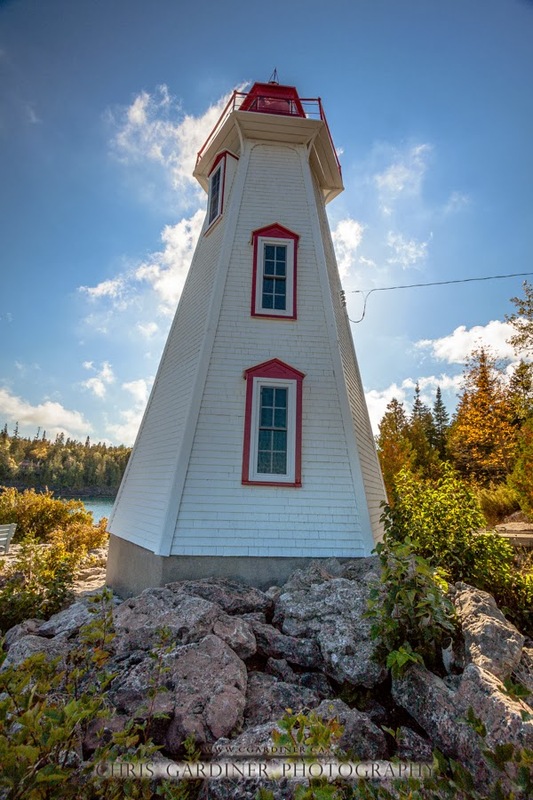 A quick easy tip; when I am aiming to backlight something, and it's large enough like this lighthouse - instead of wasting my time eyeing it up through my viewfinder, I'll move my body around until I see I am standing in the shadow of the lighthouse, or other subject to backlight/block the sun with. Saves me from tripping over the sketchy rocks if I was focused on my viewfinder.